Constellation Software Acquires Z57, Inc.
TORONTO, ONTARIO–(Marketwire – Dec 3, 2012) – Constellation Software Inc. (“Constellation”) (CSU.TO) today announced that its wholly-owned division, Constellation Homebuilder Systems (“CHS”) has purchased 100% of the shares of Z57, Inc. (“Z57″). The acquisition further expands Constellation”s market presence in online marketing for residential real estate agents. 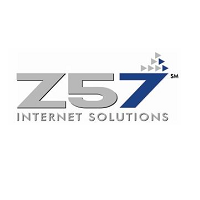 Headquartered in San Diego, California with customers across the United States, Z57 is a leading provider of web sites, lead management and lead generation solutions for real estate agents. Its market leading solutions include professionally branded websites, Internet traffic programs, PropertyPulse – a cutting edge social media offering, and Z57Go – a mobile solution for agents.